Marsh & McLennan Agency specializes in serving the insurance needs of banks, credit unions, and insurance companies. 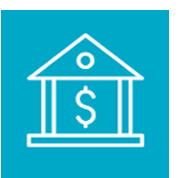 Through the strength of our Financial Institution team, our geographic presence, and our world class value added services, Marsh & McLennan Agency provides public and privately held institutions with risk management and employee benefit strategies that help enable you to flourish in your market. Our strategic research meeting interviews with your key risk managers help identify potential business fit opportunities to assist in meeting competitive compliance and market issues.